Drum books that get to the point! GoAndPractice® by Alec Tackmann is a new series of drum books covering beginner to advanced techniques with each book targeting a specific learning category. Written after years of studying, teaching, performing, and touring, these books are written as a bona fide answer to the often outdated or monotonous method books on the market. Whether you are a beginner looking for a good place to start, a performer looking to expand your vocabulary, or a teacher looking for a new method, these books are your answer. 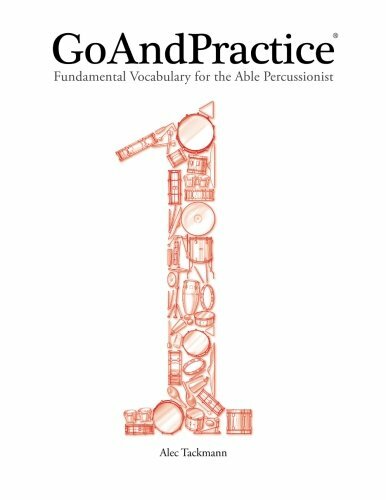 GoAndPractice®: Fundamental Vocabulary for the Able Percussionist (Volume 1) by Alec Tackmann is a modern guide to beginner snare drumming written with consideration of students born in the overwhelming age of internet and social media, as well as teachers dissatisfied with outdated and cluttered method books on the market today. Each page and exercise from this book are demonstrated play-along style on this site so students can practice along with the author on their tablets or devices away from lessons. Changes in patterns are inserted randomly to insure the student cannot complete any pages on "auto pilot". Review exercise pages are divided into four short snare solos to avoid discouragement from an otherwise daunting page-long milestone. Counting is written in grayscale above exercises but gradually removed throughout the book to prevent the student from becoming dependent on them. Stickings are written in grayscale underneath new concepts in right-hand lead and gradually removed to encourage a logical system of right & left which will increase hand/eye coordination and ultimately make the student a faster reader. Review exercise pages have no counting or stickings written on the page to indicate if the student can read real-world music. Lines of music also include space above and below each line to practice writing counting or sticking if needed. Text throughout the book is limited by omitting subjective details, leaving the book a clutter-free, style-neutral teaching tool for teachers of any genre in the vast world of percussion! 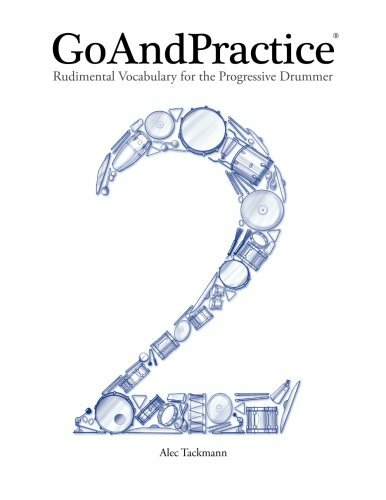 GoAndPractice®: Rudimental Vocabulary for the Progressive Drummer (Volume 2) by Alec Tackmann is a study of the most practical rudiments and their variations. Instead of strictly focusing on repetitions, each rudiment is examined with a full page of practical applications followed by review exercises to provide musical context. This book is ideal for drummers and percussionists who wish to expand their rudimental vocabulary and find creative yet usable approaches to playing the most common rudiments. 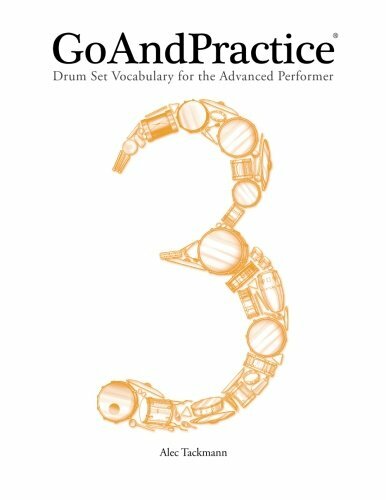 GoAndPractice®: Drum Set Vocabulary for the Advanced Performer (Volume 3), by Alec Tackmann, is a collection of over 200 musical licks and fills for the drum set. With each page grouped by the rudiment or sticking pattern used, this book can be used as a dictionary of ideas to work toward or to draw inspiration from. Contrary to many drum set books which focus on exercises and repetitions in a mathematical approach, each example in this book is unique and relevant with no “filler” material to bypass. The GoAndPractice® series are available worldwide. Hardcover books are available to U.S. and European customers via Amazon.com. Simply click on the ones you want and they will be printed and delivered to your door (with Prime 2-day shipping when applicable). Customers outside of the U.S. and Europe can instantly download the books to your phone or tablet via Amazon Kindle. Interested in a bulk purchase or carrying the books at your store? No problem! Contact Alec. As a performer Alec has toured nationally and internationally to a dozen countries playing major festivals including New Orleans Jazz Festival andMonterey Jazz Festival for artists such as The Galactic Cowboy Orchestra, Jenn Bostic, and Davina and the Vagabonds. As an educator he has held a roster of 50 weekly private students at his home studio and is the author of the GoAndPractice® series of drum instructional books available worldwide. For more information please visit http://www.alectackmann.com. with the United States Trademark Office, registration number 4831437.